Our range of products include earthmoving machine spare parts, earthmoving spare parts and road construction machine spare parts. 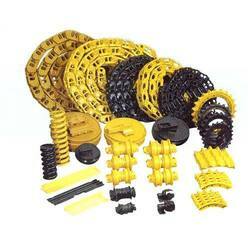 Bharani is the trusted name of the industry that manufacturers and trades of Earthmoving Machine Spare Parts. Widely used in various earthmoving applications, these spare parts are manufactured in accordance with the predefined OEM standards. The offered range is vastly applauded for its dimensional preciseness, supreme functionality and longer operational life. We are one of the leading names of the industry that offers a vast collection of robust and high functionality Earthmoving Spare Parts. Manufactured as per the predefined OEM standards, these spare parts are widely applauded for their smooth operation, functional fluency and dimensional preciseness. Before the final dispatch, our quality analysts check these spare parts for their quality. Our company is engaged in the manufacture, trade and export of a wide collection of Road Construction Machine Spare Parts. 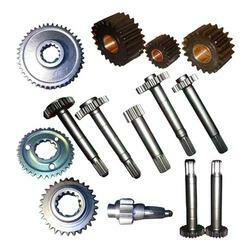 Made as per the predefined industry standards, these spare parts are extensively used in earth moving and other machinery. Dimensional accuracy, longer functional life and high resistance to corrosion are some of the major traits of these efficient spare parts. As per OEM part number. 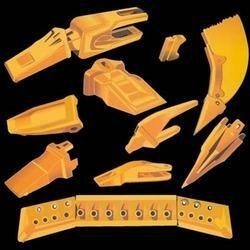 Looking for Earthmoving Spare Parts ? Volvo 210. Bucket Cylinder. Rs. 78000..
Hitachi Ex 200. Bucket Cylinder. Rs.78000..
Kobelco SK 210. Bucket Cylinder. Rs.78000..
JS 205. Bucket Cylinder. Rs. 78000..